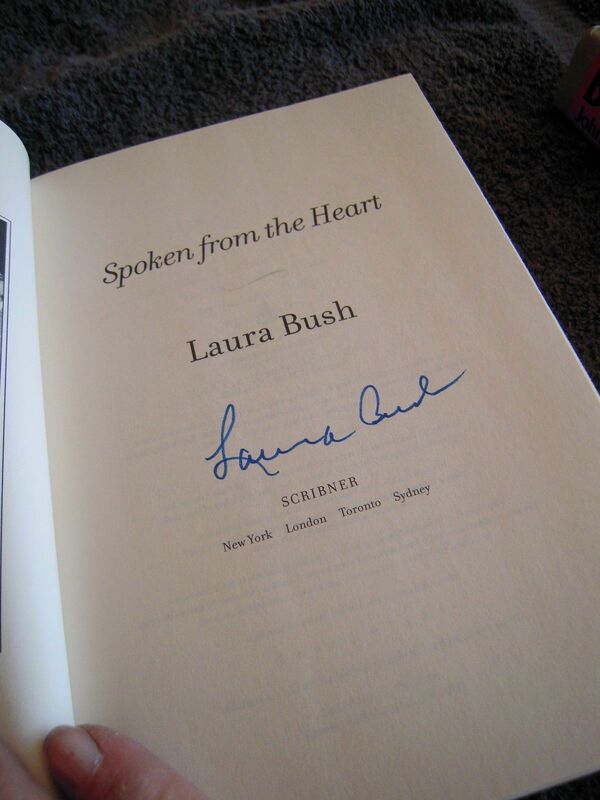 Spoken from the Heart first edition hardcover book autographed in thin blue marker on the title page by former First Lady Laura Bush. With certificate of authenticity from AutographsForSale.com. HAS VERY MINOR SHELF WEAR. 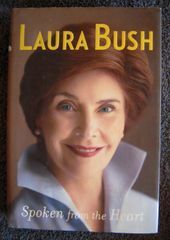 ONLY 2 AVAILABLE FOR SALE.